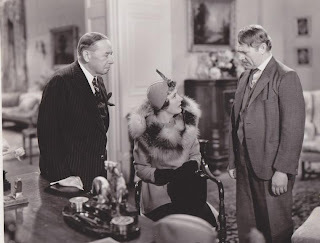 Since his retirement, wealthy Mr. Wayne (William Collier Sr.) has a weakness for odd investments and this time he is interested in buying an interest in heavyweight fighter Albert "King" Cole (Fred MacMurray) offered to him by his former oil partner Hank "Pop" Hardy (Charlie Ruggles). To safeguard her father's investment, his daughter Eleanor (Irene) accompanies him to a fight to have a look at Cole. Though Cole wins and is obviously a promising boxer, Eleanor isn't really convinced and the after fight businees talk ends with a quarrel between her and Cole and a quick exit of the latter. Feeling insulted, Eleanor follows him and soon they are involved in a conversation - after Eleanor slapped Cole - which reveals Cole's more sensitive sides. Well, Elenor falls head over heels for the guy, and after her father bought half of his contract, on a visit to the training camp it becomes obvious that Cole is similarly attracted to her. 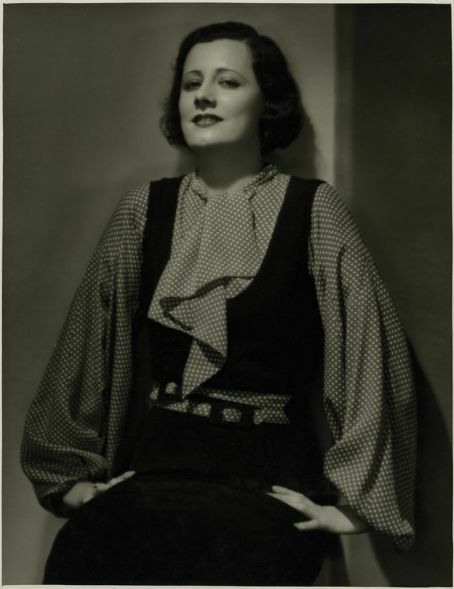 In opposite to his "usual Blonde" (Marion Martin), Eleanor is a woman he can talk to about his ambition and the driving force of his life - the championship. This is his aim and goal and he can't imagine failure. Cole is very much aware of the class differences between them but nonetheless they elope and get married. Soon reality catches up with our happily honeymooning couple: Cole is a fighter, which means training camps and a life on the road without the mollycoddling influence of a wife. Months of apartness follow, and Cole isn't even around when his son is born. This is an oddly obscure film which is almost never mentioned. But whereas it's not one of the absolute hightlights of Irene's career, "Invitation To Happiness" has a special place on my own Dunne agenda. 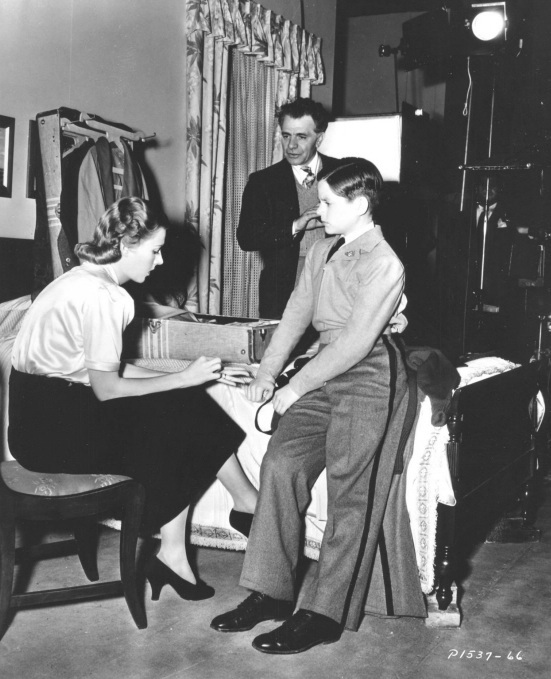 It was one of the first films of Irene I watched, and I remember very well how impressed I was. 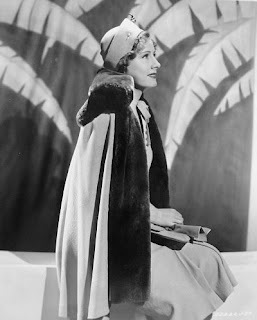 What gets me especially about Irene Dunne over and over again are those details; a love scene - Eleanor and Cole engrossed in conversation, they are alone outside, Cole tells her that they'd better go inside. Eleanor simply asks "Why?" She knows, he knows, we know that love is in the air, and well, there are still those class differences... Irene stands there with slightly waggling shoulders, her hands in her pockets - a body language which is at the same time challenging and cautious. And then she says "Why?" and it's unbelievable what she manages to express with only one word. Her voice is breathless with excitement, tension, and, oh boy, how she wants to be kissed! Of course Irene Dunne films are full of this kind of tidbits - and I could easily pick some other scenes from "Invitation To Happiness" - but one example of my Dunne newbie memories is certainly enough. As you know by now, while I've never lost the enthusiasm for those details they are not sufficient to secure a film a place on the list of my Dunne favorites - this needs some other elements. 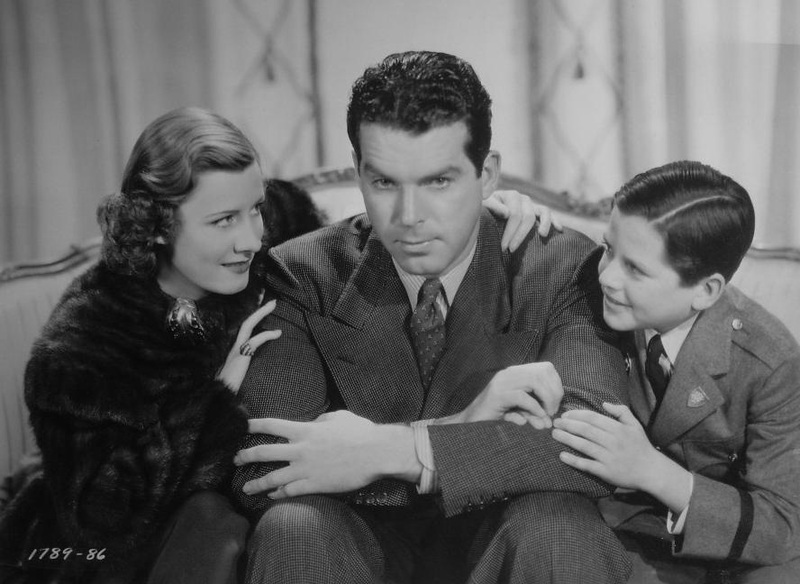 One strong argument is the presence of Fred MacMurray. I plain and simple like that guy - once again an actor who worked with all my favorite actresses - and he is perfect in the role of this sensitive big hunk of a man. 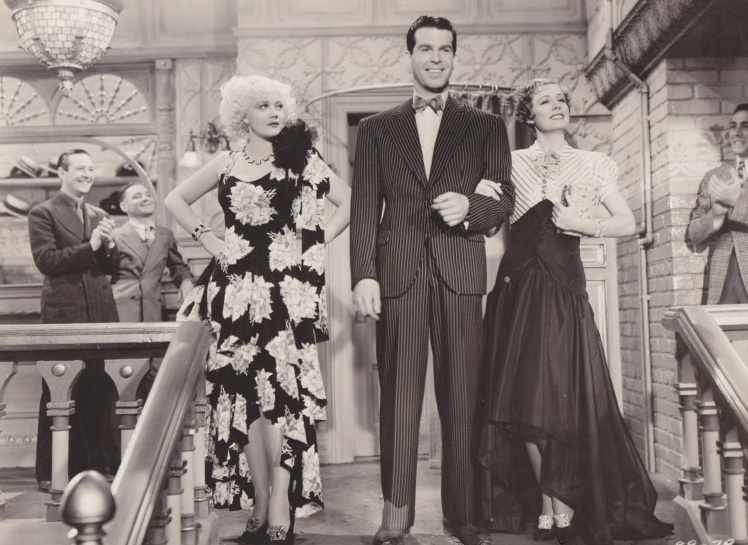 The supporting cast is outstanding, even for old Hollywood standards, and all of them get some rewarding scenes. Child actor Billy Cook who asserts his position in this high quality cast, deserves an extra mentioning. The diretor's seat was occupied by Wesley Ruggles with whom Irene worked on "Cimarron" and he proved once again that he had a knack for action scenes; the boxing sequence is especially well done. As the icing of the cake Irene is dressed in fancy 20s costumes - the story begins in 1927 - designed by Edith Head. Till now this sounds like quite a film, doesn't it? Okay, a "lady and the uneducated fella" story is not exactly groundbreaking, but always likeable to watch, and the bottom line "If you are not afraid of failure, there is no failure" is intelligent enough to please me. The idea that sometimes defeat in one department of life might bring success in another section is certainly one I like. "Invitation To Happiness" has the fate that it's overshadowed by the superior films Irene made around that time. 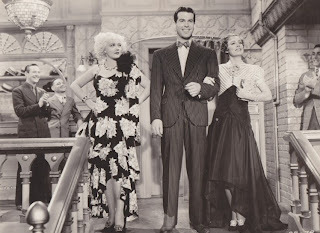 Irene and Fred MacMurray make a pleasant couple but it's not the Dunne/Grant, Dunne/Boyer magic; neither is this movie as witty as "The Awful Truth" nor as sophisticated as "Love Affair," it's simply not in this league of films, but nevertheless it's a solid piece of entertainment. That's another Dunne picture I'd love to watch in a decent print one day, but my rather blurry copy does not hinder me from accepting this "Invitation" from time to time - it's always an enjoyable, relaxing evening. Labels: Billy Cook, Boxing, Charlie Ruggles, Fred MacMurray, Invitation To Happiness, Irene Dunne, Wesley Ruggles, William Collier Sr.
Excellent,is the same history of the champion in the new cinema. I´m prefer this!